According to the 2012 annual “Preferred Location Survey” recently released by recruitment firm Astbury Marsden, Singapore is the most preferred destination among UK investment bankers and hedge fund managers. The city-state has superceded the two financial capitals of the west, New York and London. Of the 462 respondents consulted last month, 31% ranked Singapore as the most ideal location, 20% chose New York, while a modest 19% relegated London to third place. Hong Kong (16%) and Dubai (15%) completed the top 5. Astbury Marsden points to Singapore’s higher wages, attractive tax structure and banking-friendly environment as major factors in the survey’s results. In sharp contrast, London and New York continue to face anti-banker sentiments in light of the financial crisis, inferior wage growth and higher tax rates. 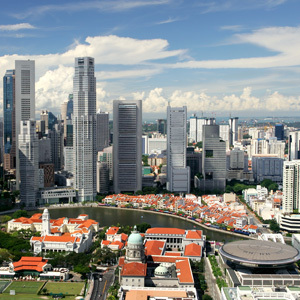 Further analysis by Singapore company formation specialist Rikvin underscores Singapore’s pro-business environment and stable economy as additional factors. “It should also be noted that while western markets floundered, our economy has proven resilient amid the global financial crisis. Our GDP has remained relatively robust, with a recent 2% increase in Q2 2012. Indeed, it is evident why Singapore is the top destination not only for investment bankers, but also for entrepreneurs and investors seeking Singapore Company Registration,” he added. The same Astbury Marsden study further revealed that 60% of respondents expect the Asia Pacific region to overtake the west, and ultimately become the world’s most dominant financial center within 10 years. More than two-thirds of investment bankers ranked Hong Kong, Shanghai and Singapore as the top three cities to become the global capital for financial services within the next decade. Meanwhile, only a fifth of the respondents believe that London will be a global financial center in 2022, whereas only one sixth expect New York to rise to the challenge.